If you are looking for the best for your Christmas dance treat, this is it. Main image: Shiori Kase © Jason Bell. Art Direction and Design Charlotte Wilkinson Studio. It is Christmas Eve; Clara’s family is having a party and everyone is invited. All the family is excited, especially Clara and Freddie who are looking forward to seeing their friends and Father Christmas. Clara is especially excited about seeing her best friend Charlotte whilst their mother and big sister Louise look on fondly. Outside people skate on the frozen Thames. Dr Drosselmeyer, a rather mysterious old family friend, arrives. With him is his nephew, fresh from Military School. The guests arrive, presents are starting to gather under the Christmas tree and the children’s excitement builds. Dr Drosselmeyer introduces a puppet theatre, in which puppets perform to the delight of the guests. Louise and her three admirers are inspired to dance by the puppets’ performance. 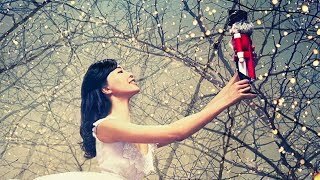 Dr Drosselmeyer presents Clara with her Christmas present – a Nutcracker doll. Clara is thrilled and begins to dance with her new much-loved gift. Freddie grabs the doll so enthusiastically from Clara that he manages to break it. In despair, Clara turns to Dr Drosselmeyer for help. He, as if by magic, manages to put the doll back together again. Clara is delighted and forgives her brother. The guests depart, the children go up to bed and the house becomes eerily quiet. 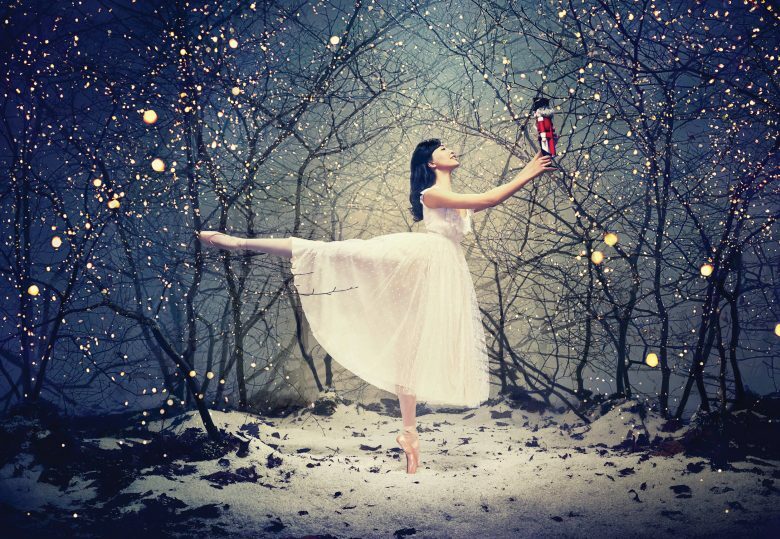 Clara has a nightmare in which her Nutcracker is attacked by the evil Mouse King. The clock strikes midnight. Giant rats and mice led by the Mouse King appear as the living room undergoes a transformation. 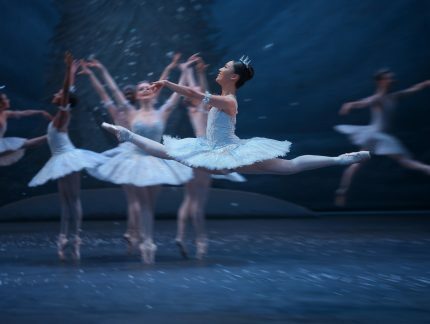 The Nutcracker becomes a dashing soldier and a battle between the two sides ensues. 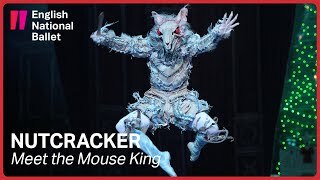 The Mouse King and his army are victorious and the Nutcracker is injured. 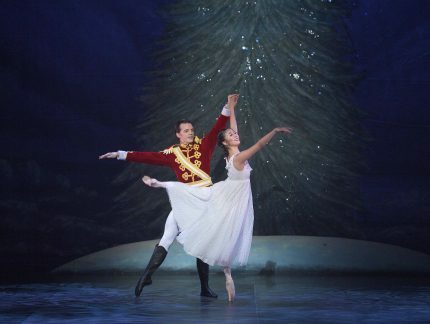 Everything melts away to leave Clara and the Nutcracker alone as snow starts to fall. The living room is magically turned into a winter wonderland filled with sparkling snowflakes. Clara dances with the Nutcracker who seems to be Drosselmeyer’s nephew. The Mouse King pursues Clara through the snow. 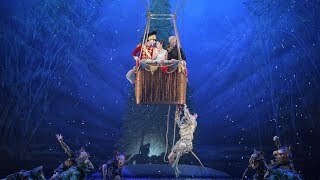 Clara, the nephew and Dr Drosselmeyer escape in a balloon, flying across the glistening, frosty landscape with the Mouse King clinging onto the side. The balloon lands beside the puppet theatre. 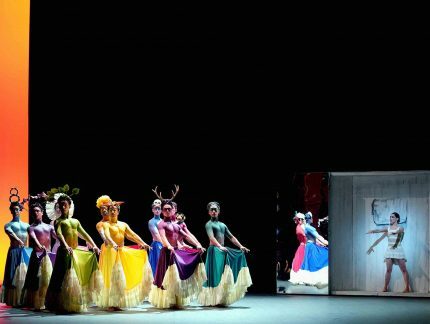 Dancers from all over the world representing China, Arabia, Russia and Spain come to life and leap out of the theatre. The Mouse King is finally vanquished by the heroic nephew and a magnificent celebration begins. 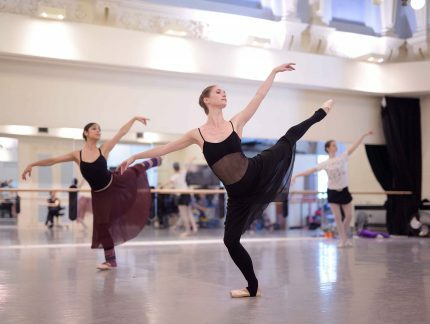 The dancers perform divertissements. The puppet theatre disappears to reveal a beautiful garden, amongst which dancers perform the Waltz of the Flowers. Finally, Clara dances a glorious pas de deux as the Sugar Plum Fairy with the nephew as the Prince. They are joined by all the characters from around the world. Suddenly Clara wakes up with a jolt back in her bedroom. 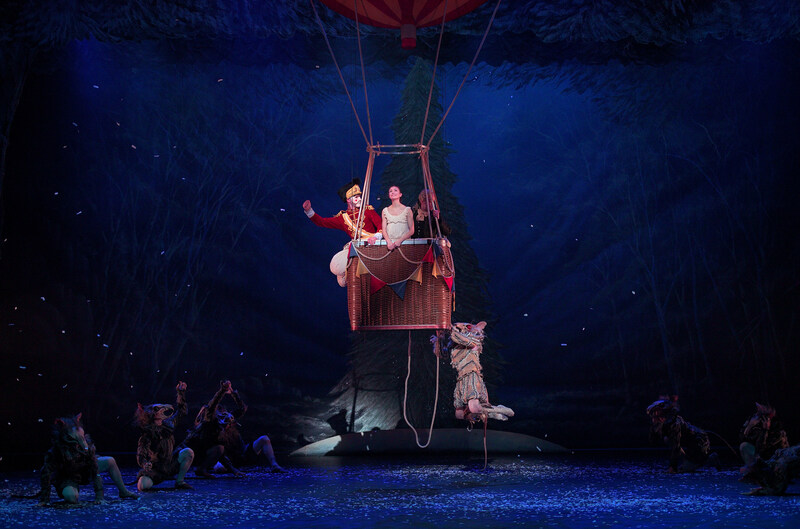 Freddie and Clara run outside into the snow to wave a final goodbye to Drosselmeyer and his nephew. Only one discount per ticket. Subject to availability. Available from the London Coliseum Box Office, on all performances and all price bands unless stated otherwise. Up to two children (under 16) can attend half price with every full paying adult. 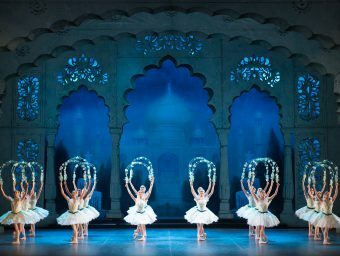 Children under 5 are not allowed in the auditorium, except at our Family-Friendly performance. Children under 5 may attend this performance, and up to two children (under 16) can go free with each full paying adult. Please call 020 7845 9300 to book.